Called the sunshine vitamin (because your body can make some Vitamin D with enough sunlight), vitamin D is essential for bone health and may slow the progression of arthritis. It’s also believed to strengthen the immune system and possibly prevent some cancers. Technically a hormone, vitamin D is produced within the body when the skin is exposed to the ultraviolet B (UVB) rays in sunlight. In Australia and New Zealand, spending a short period in the sun each day supplies all the vitamin D your body needs, but people confined indoors may not get enough sun to generate adequate vitamin D, and so need to obtain this vitamin from food or supplements. What’s more, the body’s ability to manufacture vitamin D declines with age, so vitamin D deficiencies are common in older people. One US study of nearly 300 patients (of all ages) hospitalised for a variety of reasons found that 57% of them did not have high enough levels of vitamin D.
Of particular concern was the observation that a third of the people who obtained the recommended amount of vitamin D through diet or supplements were still deficient. This finding suggests that current recommendations for vitamin D may not be high enough. The basic function of vitamin D is to regulate the levels of calcium and phosphorus in the blood, helping to build strong bones and healthy teeth. Studies have shown that vitamin D is important in the prevention of osteoporosis, a disease that causes porous bones and thus an increased risk of fractures. Without sufficient vitamin D, the body cannot absorb calcium from food or supplements – no matter how much calcium you consume. When blood calcium levels are low, the body will move calcium from the bones to the blood to supply the muscles – especially the heart – and the nerves with the amount they need. Over time, this reallocation of calcium leads to a loss of bone mass. 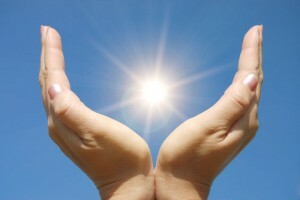 Scientists are continuing to discover more about the function of vitamin D in the body. Some studies suggest that it’s important for a healthy immune system. Others indicate that it may help to prevent prostate, colon or breast cancer. One study found that adequate vitamin D slowed the progression of osteoarthritis in the knees, although it did not prevent the disease from developing in the first place. May protect against some types of cancer. 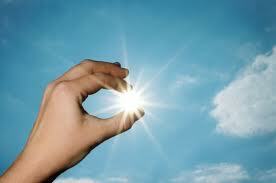 There is no RDI for vitamin D in Australia or New Zealand, as enough is made when the skin is exposed to sunlight. However, people who are confined indoors are recommended to get about 400 IU (10 mg) daily from their diets. If you get too much: Although your body effectively rids itself of any extra vitamin D it makes from sunlight, overloading on supplements may create problems. Daily doses of 1000-2000 IU over six months can cause constipation or diarrhoea, headaches, loss of appetite, nausea and vomiting, heartbeat irregularities and extreme fatigue. Continued high doses weaken the bones and allow calcium to accumulate in soft tissues, such as the muscles. If you’re over the age of 50, if you don’t get outdoors much or if you always wear sunsreen, you might want to consider vitamin D supplements. Many experts recommend 400-600 IU a day for people over the age of 50 and 800 IU for those over the age of 70. For younger adults, 200-400 IU a day is probably sufficient. Supplements can be taken at any time of the day, with or without food. Most daily multivitamins contain up to 400 IU of vitamin D. It is also often found in calcium supplements. Fatty fish, such as herring, salmon and tuna, are rich in vitamin D.
Overuse of vitamin D supplement can result in elevated blood levels of calcium, leading to weight loss, nausea, and heart and kidney damage. Vitamin D, commonly known as the ‘Sunlight Vitamin’ is once again showing itself to be a nutritional superstar. Commonly prescribed to help maintain calcium regulation and bone health, Vitamin D is now also implicated in a range of biological functions including metabolic health, mood regulation and immune function. With Vitamin D deficiency at epidemic proportions worldwide, Vitamin D is more important than ever to help prevent the onset of disease and cancer. Emed explores current research findings on the different ways Vitamin D regulates immune function to prevent autoimmune disease, including the influence of Vitamin D on our gene health! Vitamin D deficiency can not only contribute to rickets and osteoporosis, but also to Calcium loss in the bones of the inner ear resulting in hearing loss, especially in the elderly. Most often the first symptoms are caused by myopathy with muscle pain, fatigue, muscular weakness, gait disturbances and osteomalacia (softening of the bones). There is an epidemic of vitamin D deficiency sweeping the globe, and it shows no sign of slowing down. A recent study has shown that a huge 60% of the world is vitamin D deficient, with another 25% having extremely low levels. Vitamin D deficiency can be the root cause of a large number of illnesses and diseases, but unlike other deficiencies, just a little bit of sunshine and some smart supplementation is all it takes to cure it. The Age Online caught my eye yesterday – a front page article on Vitamin D.
Considering nearly every patient I see is vitamin D deficient, I took some time to read through the article thoroughly. The study shows that Vitamin D deficiency is actually putting Australians at risk of developing diabetes. Can Vitamin D Treat Period Pain? 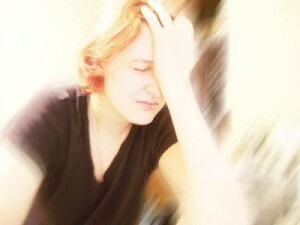 If you are a woman who experiences severe menstrual cramps, then vitamin D may be a remedy for you. Recent research suggests that women plagued by menstrual cramps may find relief with Vitamin D3. Raising hopes that the dietary supplement could one day be an alternative to the painkillers and birth control pills that doctors now recommend. Can Vitamin D Prevent Heart Attacks? We are literally starving for vitamin D. Our quest to prevent overexposure and skin cancer has meant that the majority of Australian’s are now vitamin D deficient. Recent research has now shown some alarming results for the effects of vitamin D deficiency on the body. The new research, run by Harvard Medical School has shown that a low intake of Vitamin D boost the risks of heart attacks and stroke by an astonishing 60% – a scary figure considering that most of us are vitamin D deficient. Oxford University researchers have recently mapped out the points at which Vitamin D directly interacts with over 200 genes in our DNA, and subsequently thousands of genes via indirect transcription processes, making Vitamin D one of the most significant nutrient/hormone compounds to the human body. Specifically, the researchers showed that Vitamin D had a significant effect on the activity of 229 genes, including IRF8, that has been previously associated with MS, and PTPN2, which has been associated with Crohn’s Disease and type 1 Diabetes. 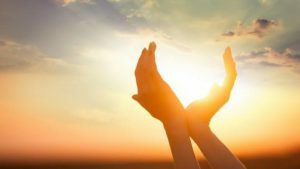 It is now estimated that 1 billion people worldwide do not have sufficient vitamin D, and there is indeed a growing body of evidence indicating that vitamin D deficiency increases an individual’s susceptibility to autoimmune conditions such as multiple sclerosis (MS), rheumatoid arthritis and type 1 diabetes, as well as certain cancers and even dementia.